2017 is off to a good start for the Buffalo Bills. They are 3-2, and just a half-game out of first place in the AFC East. But simmering under the surface is the coming reality of the 2018 offseason. The Bills are heading for salary cap hell. They dipped their toes in the fiery waters of the NFL’s contract underworld before this season. But it’s heading toward a full-on cannonball after the season. Salary cap hell usually means one of two things: Inability to re-sign current players and sign free agents, or the release of current star players making too much money. For the Bills, it could be both. The issue was first discussed during a recent Daily Drive podcast with WNYer Mike Ginnitti, the creator and publisher of Spotrac.com, the nation’s foremost sports contract website. Citing huge cap hits due for Marcell Dareus and Tyrod Taylor (two players whose Buffalo futures are not locked in), Ginnitti thinks the Bills are positioning themselves to deal with next year’s cap. “They are ramping up for huge dead cap hits next year. Looks like they’re playing it out now, knowing they are in cap hell next year,” says Ginnitti. Dareus, if released, would count $21.5 million on the Bills cap next year, even though he wouldn’t be on the roster. Taylor would count $18 million against the cap if he’s on the roster. If not, it’s $8.6 million. There are 12 players who’s cap hit will be over $3 million in 2018. That list includes Cordy Glenn, Charles Clay, Jerry Hughes, Lesean McCoy, Eric Wood and Richie Incognito. It’s important to note that all of those players are holdovers from the previous regimes, and nine of them will be age 29 or older. So the challenge for General Manger Brandon Beane will be signing these players, and fitting them into the already bloated cap. How do you do that? Get ready for some star players to be gone. Glenn seems likely to be one of them, even with an $11 million dollar dead cap hit. Clay’s production this year has been good, but injuries have again effected his play. His dead cap hit is $9 million. McCoy, in an age of young running backs, will be 30 years old. It’s a question whether he’ll stay. His dead cap hit is a manageable $5.25 million. Taylor will be the big decision. 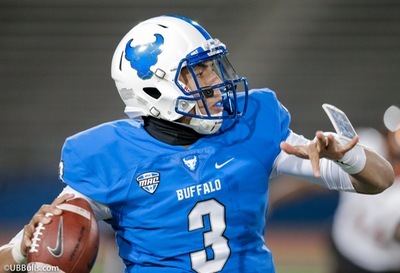 If the Bills draft a college quarterback in the first round, that will signal a move away from the veteran signal-caller. Would they want him around? Or do they move forward with the rookie and Nathan Peterman. In my opinion, there’s no evidence that Taylor is worth an $18 million dollar cap hit. He’s likely gone. Mike Ginnitti of Spotrac.com’s list of Bills veterans and the effect of releasing them. Seeing how the 2018 cap is shaping up, and knowing that the front office monitors this, it starts to make sense why the team has acquired so many draft picks for next year. Rookie players, even first rounders, are cheap. Their salaries and cap hits are minimal and manageable. Of course, the Bills could re-negotiate some of their veteran deals in order to keep some players. But that’s a credit card, buy now-pay later approach that doesn’t seem to fit Beane & Sean McDermott’s style. Releasing Taylor, Dareus, Glenn, Incognito, Clay and McCoy would still create a dead cap hit of nearly $45 million dollars. Add in another $4 million of dead money for long-gone players like Aaron Williams and Reggie Ragland, and you’re approaching half of the team’s total salary cap. The salary cap this season is $167 million. But those moves would save $30 million dollars. Get Younger, But Get Better? Do the Bills bite down hard, take that hit and move forward with young players? Or do they try to massage the issue and keep some veterans, especially if this season puts them into, or on the brink of the playoffs? As we’ve seen, a young roster doesn’t always mean rebuilding. Especially with six draft picks in the top three rounds. Whatever the front office decides, expect the 2018 Buffalo Bills to look a lot different than they do now. As a fan, you should expect to have to buy another new jersey, because all those #5, #25, #95 & #85 uniforms may be obsolete. For Spotrac.com’s Buffalo Bills roster page, click here. Lots of great info Paul! Great read, keep up the good work! This is great writing and analysis. 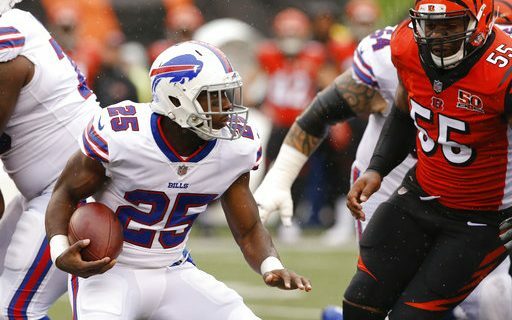 It seems that the Bills should “bite the bullet” and move on from Darreus and McCoy. Hopefully they will also give Peterman a chance at winning the starting job later this season. Taylor really showed at the end of the Bengals game that he lacks an innate ability to read the field when setting up a pass play and either gets tackled from behind or throws the ball feebly with no completion..